As another swimming season is arriving soon, have you get your swim pool ready? Most homes and commercial spaces have pools on the ground level or inside house, but a rooftop pool is getting popular and common to see in house that don’t have enough space, especially in hotel, an unique rooftop pool will level up the hotel taste and values. 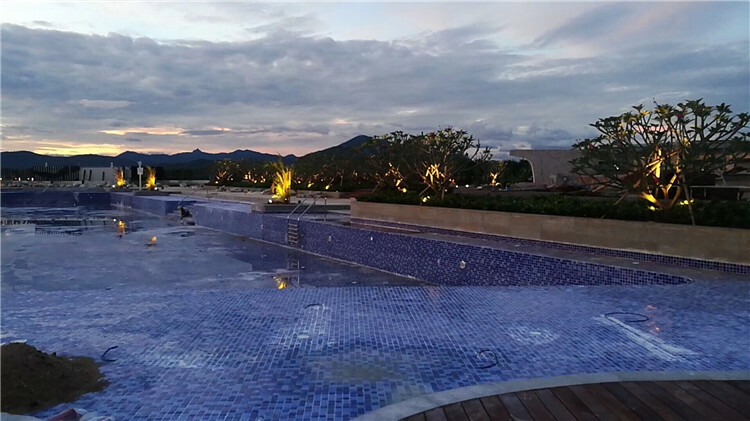 We are happy to work with one more swimming pool project - an infinity, open-air swimming pool on the top floor of hotel in Hainan Province, where i wanna spend my summer. I can not wait to share with you guys once the installation has finished. Whether you are going to start your first pool or renovate your current pool, you will get inspiration from this stunning big swimming pool. “How big should the pool be?” It is the first thing to make sure, you need to do it correct, as there is no turning back. This hotel pool is designed to be a large one for commercial use, most of the areas on the rooftop are taken for the pool use, and its shape is irregular accoring to the edge of rooftop. You know the pool tiles you choose will make a great difference on the pool’s new look. As there are so many colors, shapes, textures and size for option, it is hard for most people to make a decision. 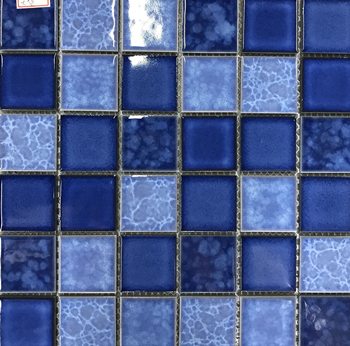 Get inspired from the large ocean and blue sky, we recommend our customers to use our blue shades of ceramic pool tile mosaic in Fambe Series and Blossom Series, and it works definitely to add depth and characters to the whole pool space. Look at this infinity pool below, our blue pool tiles makes the pool water look like the ocean, and the ocean becomes the extension of the pool, as if you can swim right into the ocean. Build a great pool ambiance and enhance your pool experience by equipping your pool with lights. These warm lights will make a swimming at night fun and safe, bringing a sense of romance to all users. Small things sometimes make big surprise! 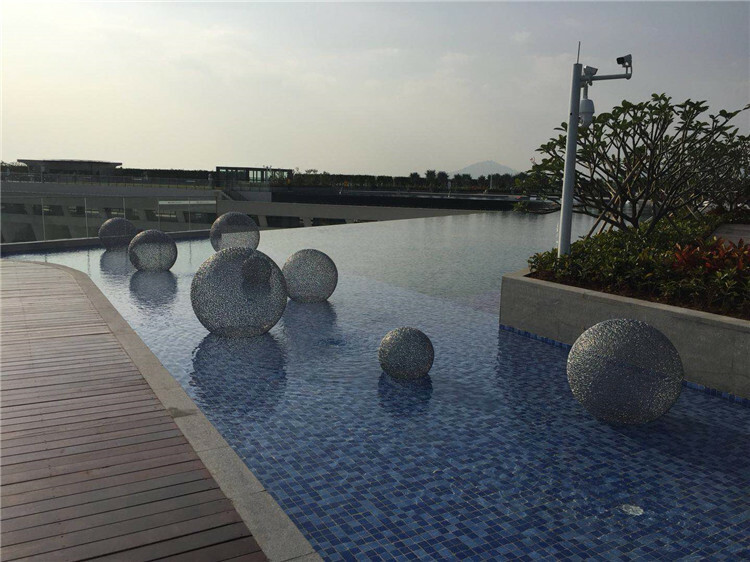 These sparkling balls is playful and decorative to the pool, it makes the space lively and more inviting! Well, it’s a wonderful thing to swimming in a gorgeous pool on a rooftop, which can provide spectacular views and unique atmosphere. 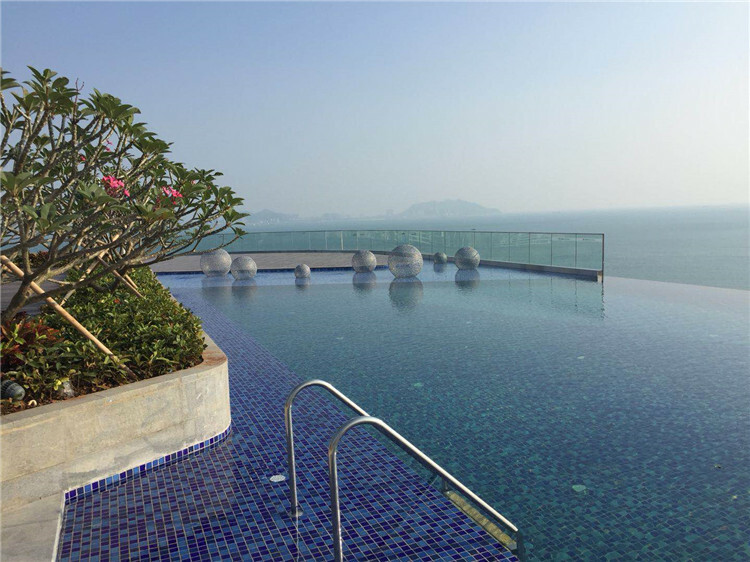 You can do a backstroke while looking up at the blue sky, get relaxed while enjoying the beautiful cityscape. We are glad to supply ceramic mosaic tile to support the installation of pool, and it turn out nice. If you have a vacant rooftop, it is a good choice to have pool in it. 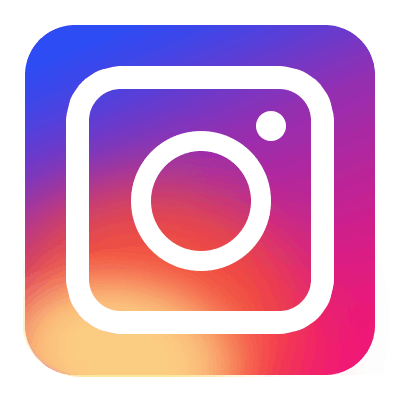 Bluwhale Tile is specialized in pool mosaic tiles wholesale for years in rich experiences and strong production capacity. 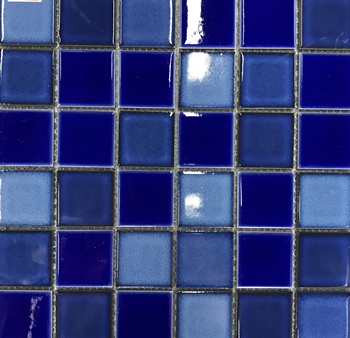 Our collections are composed of ceramic mosaic, glass mosaic, mosaic art and tiles accessories, customized service is available here. If you are in demand for pool tiles, welcome to contact us for a quotation now.